When was the last time you heard someone use the word, diligence? It’s been awhile for me too. However, we see evidence of it in our society on a weekly basis. 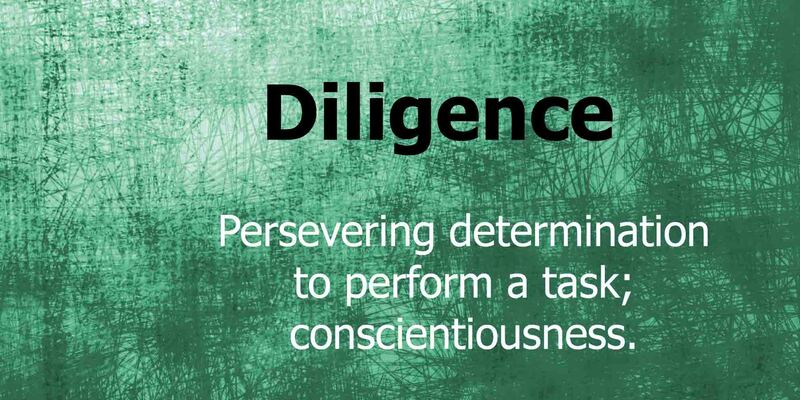 Diligence is that consistent effort required to successfully reach our goals. Here are three quick tips to help us be more diligent in our daily lives. Stay on Course – Distractions will come. Build self-discipline to stick to your plan. BTW – do you have a plan? Track Your Progress – Nothing builds motivation more than when we are making progress towards our goal. Be Realistic – Being overly ambitious can lead us to disappointment which can lead us to not being diligent. Good luck this week in being more diligent. Start small and take the necessary steps toward becoming more diligent in your daily journey!